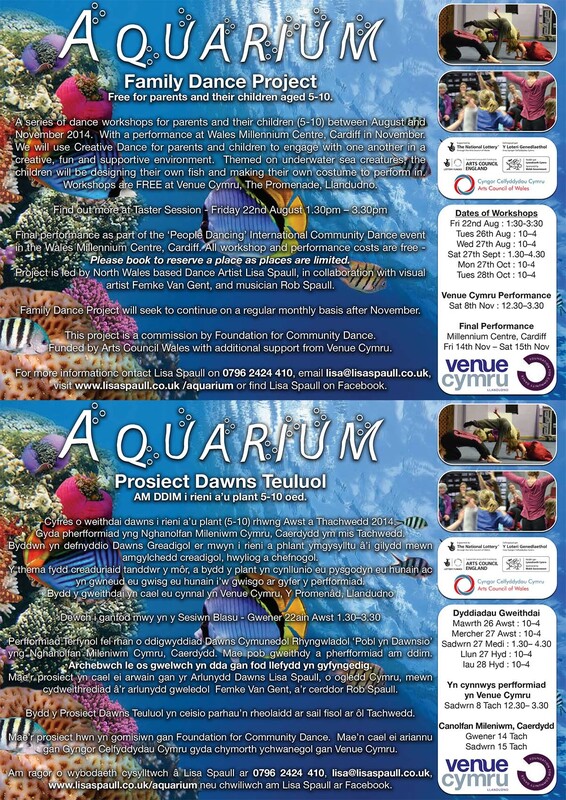 ‘Aquarium’ is a new project commissioned by Foundation for Community Dance for the People Dancing, International Event in November at the Wales Millennium Centre, Cardiff. 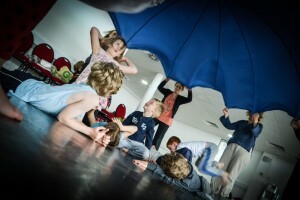 The project is for young children between the ages of 5-10 to dance together with their parents/carer’s to work towards creating a new piece called ‘Aquarium’. We will be working closely with creating an original sound score by muscian Rob Spaull and creating our set and costumes with visual artist Femke Van Gent. 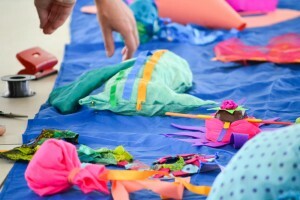 It promises to be an amazingly creative project that will be hugely fun and rewarding too. 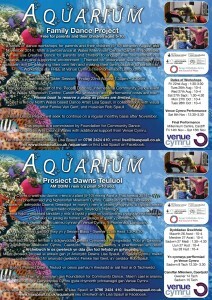 After the project has finished in November I aim to continue the group meeting on a monthly basis at Venue Cymru. After the taster and first 2 days of the project we have come together as a group and really enjoyed dancing together and with our children/parents. In the dance we explored different ways of moving creatively through the space on our own and together we created a unison dance and made beautiful shell shapes in partners. 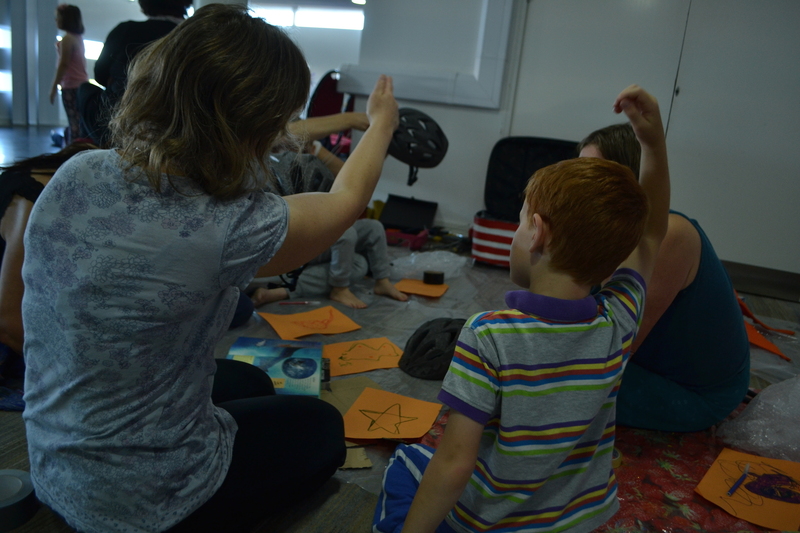 We created small group dances about different creatures in the sea and also designed our own imaginary sea creatures and made up our own fish solos. 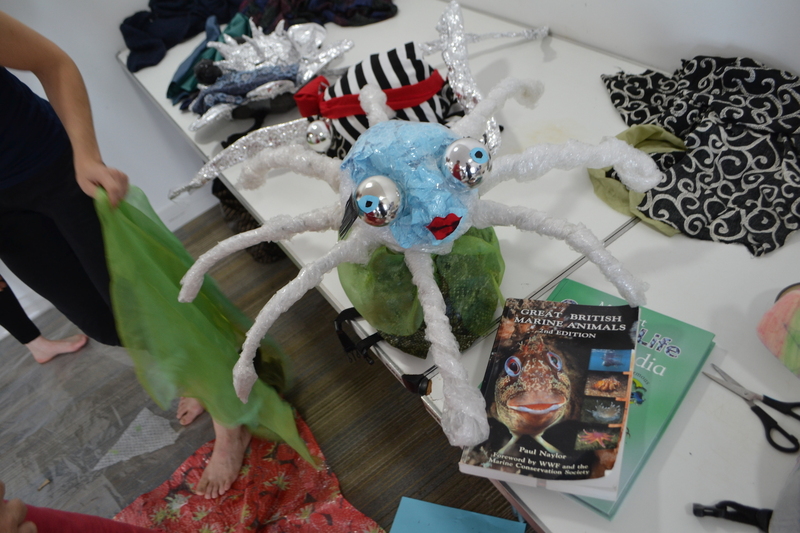 We were extremely productive in the art area creating incredible 3d fish which will be displayed on a long blue cloth at the front of the stage. We also had the opportunity to contribute to the soundscore created by Rob. Everyone had a chance to record some words and sentances about their fish and have a go on the Temple Drum – an instrument made from recycled gas canisters which Rob is using as the base for the sound score. The eventual sound track will have melody lines that the group have created themselves. 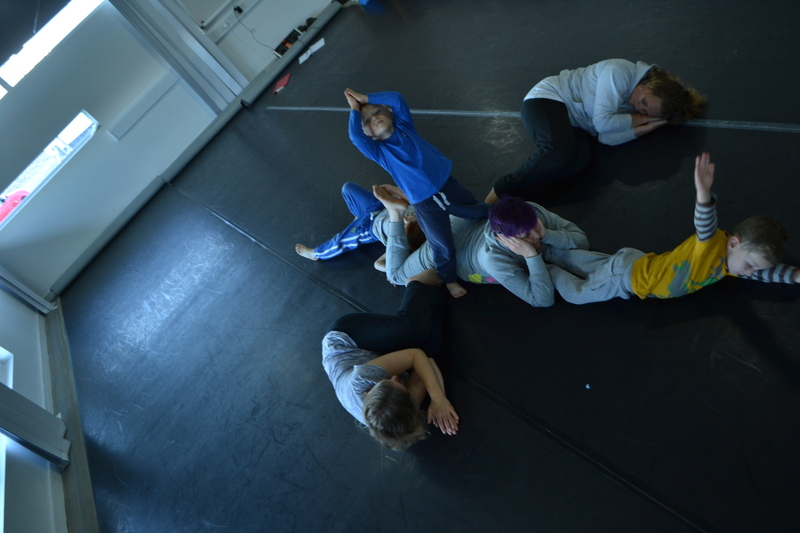 The 2 days really felt very exciting to be doing everything creating the dance, the set and the music! We started working with Visual Artist Femke Van Gent to make the Fish Hats. All the children drew what shape their made up sea creature would be and then started to design it on their hats. 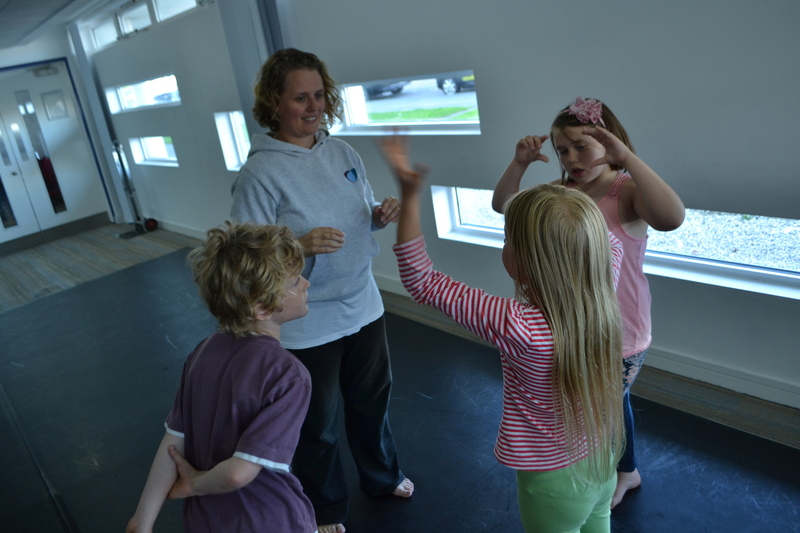 We continued working on our dance – recapping our unison dance and working on our solo dances with the music that Rob Spaull had made using our text and melody played on the Temple Drum. 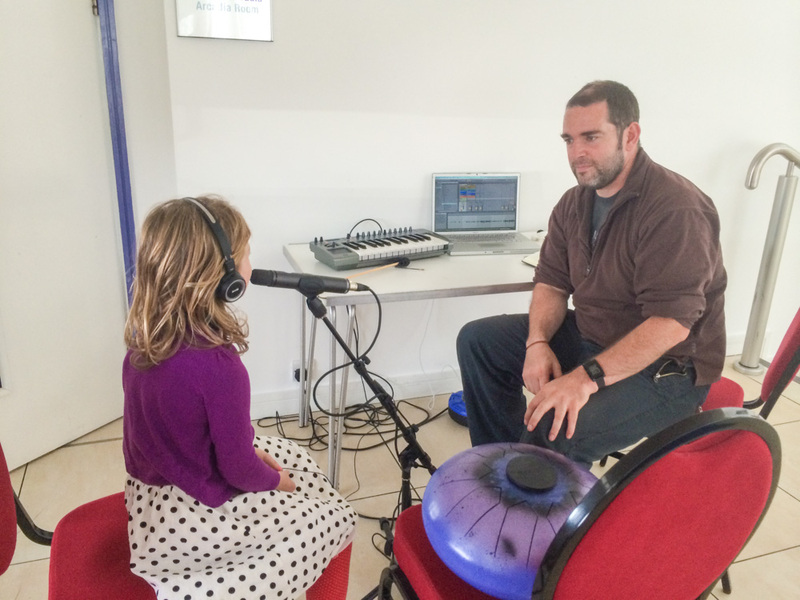 We all enjoyed listening to what our solo music had become. Final two days of the project to finsih the piece. We continued with the creation of the fish hats and adjusting costumes. The music order was finalised and we worked hard on creating transitions between each section. 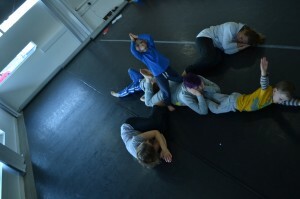 We also had the pleasure of showing our last run of the piece to one of our group dancer’s Mum and friend. 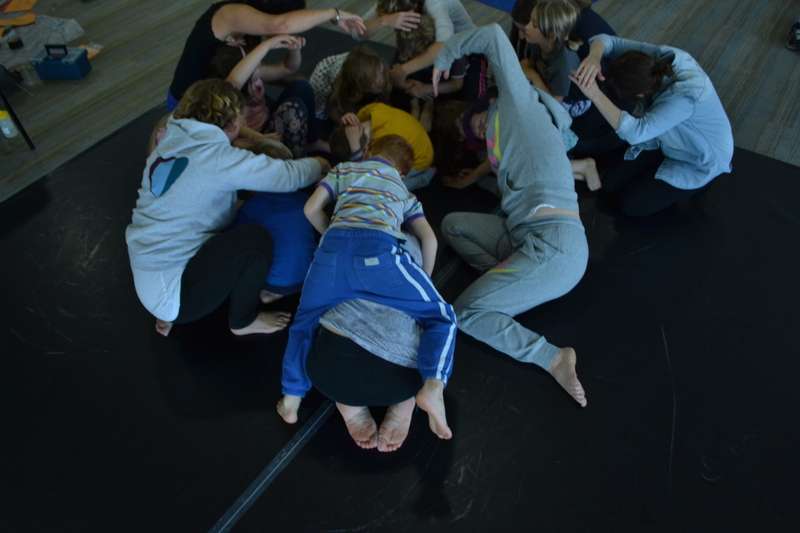 Fantastic two days with everybody working hard to complete the dance. 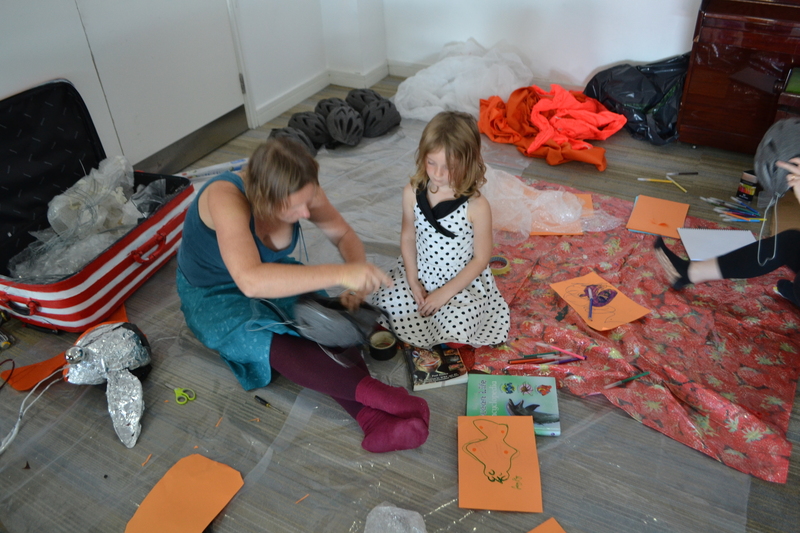 The fish hats looked amazing when finished – hard to believe they were cycling helmets. Performance at Venue Cymru for friends, family and colleagues here in North Wales before our trip to Cardiff. We had a wonderful show with fantastic feedback. We also showed this short documentary made by Rob Spaull which gives context to the piece.